Quick Links allows you to customize the dashboard with links to resources that reside inside the Risk Management Platform or external webpages. Links are listed alphabetically in the menu. 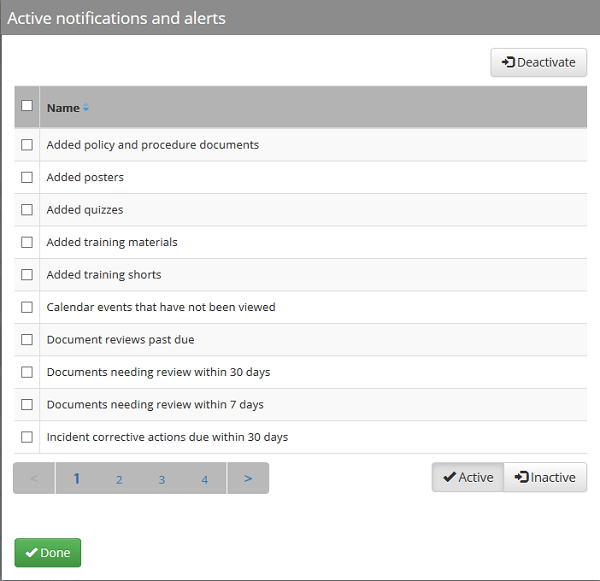 Customize the dashboard to only receive notifications about the Risk Management Platform tasks that are most important and relevant to your organization. These notifications will alert you regarding important due dates of current or overdue safety events such as expiring certifications and trainings that are past due. Notifications will appear in the panel when the selected criteria have been met. Clicking on an alert will load the relevant page in the platform.